is adding yet another online service to its growing portfolio of Web-based tools. The search giant today announced that it has bought Picnik, a photo utility that lets users edit digital photos in a Web browser. 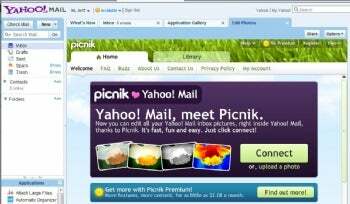 Picnik launched in 2005 and has 20 employees. Terms of the deal were not announced. What plans does Google have for Picnik? It won't say just yet. "We're not announcing any significant changes to Picnik today, though we'll be working hard on integration and new features. As well, we'd like to continue supporting all existing Picnik partners so that users will continue to be able to add their photos from other photo-sharing sites, make edits in the cloud and then save and share to all relevant networks," says Google product management director Brian Axe in a blog post. Picnik offers both free and premium photo-editing services. The free plan has a basic toolkit--cropping, color-correction, auto-fix, and the like--as well as advertising. The premium service, which starts at $2.08 per month, is ad-free and provides a lot more image-manipulation tools. Picnik also works with a variety of web services, including Google's competitors. 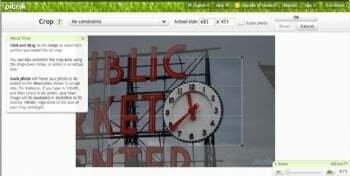 Yahoo Mail users, for instance, can use Picnik to edit photos right inside Yahoo Mail. Picnik provides similar integration with other popular social-networking and image-storing sites, including Facebook, Flickr, Picasa Web Albums, and Photobucket. Even after the Google merger, Picnik accounts and settings will stay the same. Users won't need a Google account, or even have to register, to use the photo-editing service, according to Picnik officials. PC World selected Picnik as one of "25 Web Sites to Watch."